In this workshop students will learn to carve their own mounted linoleum blocks and print them on an old-fashioned letterpress. Linocut basics will be covered including image transfer, carving, cleaning, and preserving your block. Students will carve 1-2 blocks and print in up to two colors on the letterpresses at Whitprint. Students will learn about registration, impression, general letterpress operation, color mixing, feeding, cleaning, safety, and basic maintenance of a letterpress while printing a small edition of their own images. All materials are provided, including paper, inks, and two small linoleum blocks per student. Participants should come with one or two images in mind, sized for a 3 x 4 inch block. Participants may bring their own linocut tools, or purchase a basic set at the workshop for $15. 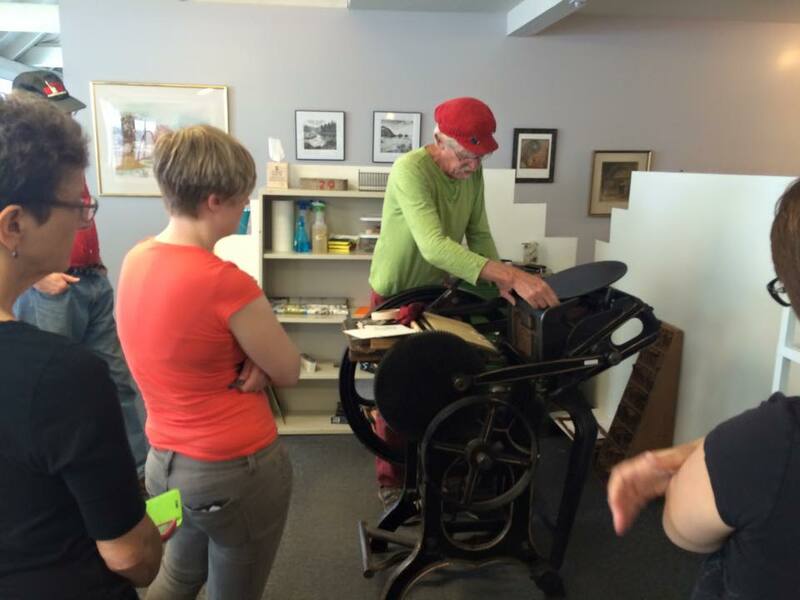 Whiteaker Printmakers is offering a series of three letterpress workshops in October, 2017. You may register for individual workshops or for the entire series. The price for the series is $310, giving you a discount of $30.